He is mad, and he’s wrong. Garmin are not trying to controll the game, they are trying to free up the restrictions on it that have been arbitrarily imposed by Groundspeak. Doesn’t he realise Groundspeak are in no position to be the ‘Official’ site given they neither invented the game, the concept or even the name. He’s deluded if he thinks GC are in it for anything but making a buck themselves too. “Don’t you realise Groundspeak are in no position to call themselves the ‘Official’ site given they neither invented the game, the concept or even the name. I see nowhere on the OX site that claim it to be the official site. As a dev on one of these sites that’s obviously ‘shady’ and trying to ‘rip off’ GC ‘concept’ I can tell you you are DELUDED if you think GC are in it for anything but making a buck off the game. There is VERY minimal community engagement around rules and decision on what cache types should and should not exist. We DON’T have to be grateful to GC, they should be grateful to US for providing the content and the volunteers who create and curate the data they then SELL. As for review of caches: Just think: Virtually every crappy LPC, Power Trail and one line bad grammar cache listing was approved and thereby endorsed by Groundspeak. Just great hey, that’s the quality approval system for ya! Censoring the discussions of any alternative forms of Geocaching and trackables that don’t generate revenue for Groundspeak is hardly community minded is it??? If you think Groundspeak are anything more than a revenue generating machine off the works of others then you, my dear friend, are seriously wrong. Thanks CraigRat. I agree with a lot of what you have said. We do need to keep in mind that gc.com is a profit making enterprise and that does colour what they do. But I do disagree slightly with the statement that Groundspeak “are anything more than a revenue generating machine”. What I believe is different about Geocaching.com is that it started as a community service – a place to bring all the placed geocaches together when no listing service existed. Despite now being a commercial enterprise (the inevitable result in a capitalist society when things grow large – it’s a requirement for survival) Geocaching.com remains unique and tied to it’s origins by the enormous number of volunteers and participants contributing to the service. They surely have a significant influence on the organisation. As a money making venture Geocaching.com is fairly mediocre (no offence intended to gc.com) and they are certainly not making the most of revenue opportunities, which can all be construed as a sign that they are more than a money making enterprise. But I’m with you on the Mad Cacher being a bit deluded on this front. A call to arms will not be successful until geocachers on geocaching.com are actually being impacted and as of right now they are not (to any significant degree). Fair points, but I’ll also say that Jeremy stated from the onset that he wanted to make money of Geocaching…he wasn’t backwards in saying that. Not bad for a small outfit, event better when you have the ground work done by unpaid non-employees. I honestly don’t think OX will unseat GC, but what it has done is push thru features we’ve been asking for for around 10 years now then it has done some good. They say they were already doing it, but I don’t believe in co-incidence. Keep up the great work on the blog, it’s my fave caching one, I really enjoy it! There’s 50 per page and 3639 pages * $30 a year, making 5.4 Million dollars US per year, not counting revenue from Trackables or commercial partnerships or site ad revenue. Also, my apologies to any volunteer staff I may have offended, my comments are not pointed directly at you. I just am pointing out some holes in the argumets, just as holes have been poke in mine. Actually, having thought about this for a day, I do feel bad for them. 181,000 ‘paying’ users from a possible 2 million is only 9%. If you were in business to make money then running a geocaching listing service is certainly not it. And the amount they are getting from it is not large. In my industry we generate the same level of revenue from less than 1000 customers. There are also few businesses that would essentially give away their main product for free – that being the access to the geocache information – and only charge you for tools that make downloading that information in bulk easier. The amount of advertising on the site is also minimal – take a look at Facebook (a site that doesn’t really sell you any product – just like gc.com) and then another at gc.com, Facebook has an enormous amount of personally targeted advertising by comparison that produces phenomenal revenue. For me this is what makes it difficult to run with the line that Groundspeak is just a business trying to make money, as it is clear there is another side to the organisation that is about community (whether people like the way the community is run is another story) and that inhibits them from really maximising the business side of things. I suspect the situation, and most of the complaints, would be the same if Groundspeak were a not-for-profit rather than a business. Make sure you pick up Angry Birds Seasons too. There’s a Christmas advent calendar where you get a new level each day. As for OCCOM vs GCCOM, I seriously doubt OCCOM represents any real threat to GCCOM, and for some time to come. There’s 5,000 caches listed worldwide on the Garmin site vs over a million on Groundspeak’s. It *is* nice to see the catalyst though where GCCOM is now appearing to be more reactive to the customer base. The advantages Garmin had at their launch are quickly being matched on Geocaching.com, reducing the incentive to go to the other site. While there have been other competitive listing services, I am quite sure none of them have had the resources available to them that Garmin has. Thanks for the Angry Birds tip! And I agree with everything you said. It will be interesting to see how much of a difference Garmin resource makes to the success of opencaching.com. Without offering a superior service or function on their site I’m not sure people will flock there in droves. 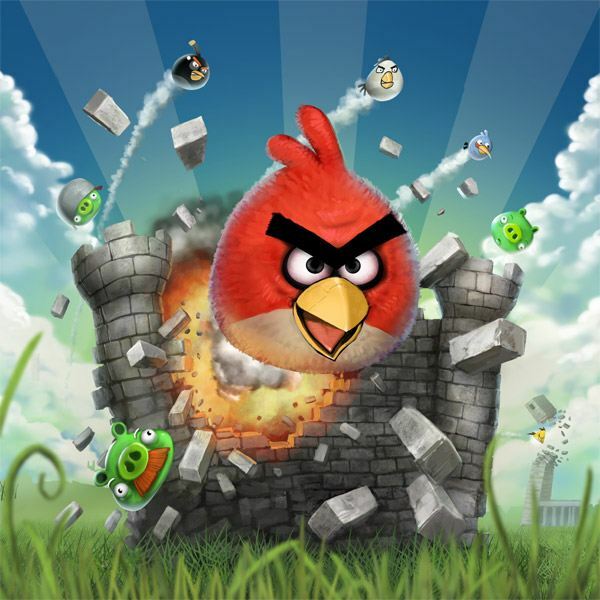 hahah “it seems that The Mad Cacher has gone all Angry Birds ” I like that. I’ll admit, I did go a little overboard. And I know Groundspeak doesn’t own the hobby. My thing is if it weren’t for Groundspeak and Geocaching.com this hobby would no t be anywhere close to where it is today with it’s millions of users. I love the hobby and I’m appreciative of that. In regards to Garmin’s new site I have absolutely no problem with competition. Competition is definitely a good thing in more ways than one. My problem is that they basically designed the site then copied everything else all the way down to the TOS. It’s obviously not word for word, but everything is basically a carbon copy. I guess I just see what Groundspeak has done for the hobby and I’m appreciative. I’m just surprised how few other cachers are not. Thanks for the plug by the way. It’s interesting you modded my post on your site to oblivion. Would you care to comment on some of my points? @ CraigRat – I’m sorry, I’m not sure I understand what you mean by “modded my post on your site to oblivion” comments are displayed in the order in which they are placed. Regarding your points, I would rather not. I didn’t write to to start an argument. You have a right to your opinions 🙂 Happy Caching! I am not sure what “openness” Garmin brings to the table – apart from not having a system to review caches before they are published. If anything, Garmin’s guidelines are more restrictive if they find a way to enforce them. The main thing garmin offers is the ability to download gpx files. Groundspeak would do well to provide this to all (while keeping the more advanced features of a pq to premium members). I distrust the way that garmin took the opencaching name in order to sell more handhelds and chirps. But a boycott? Not necessary. Garmin has not given me a reason to opencache.